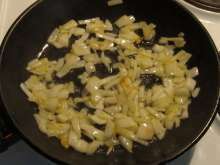 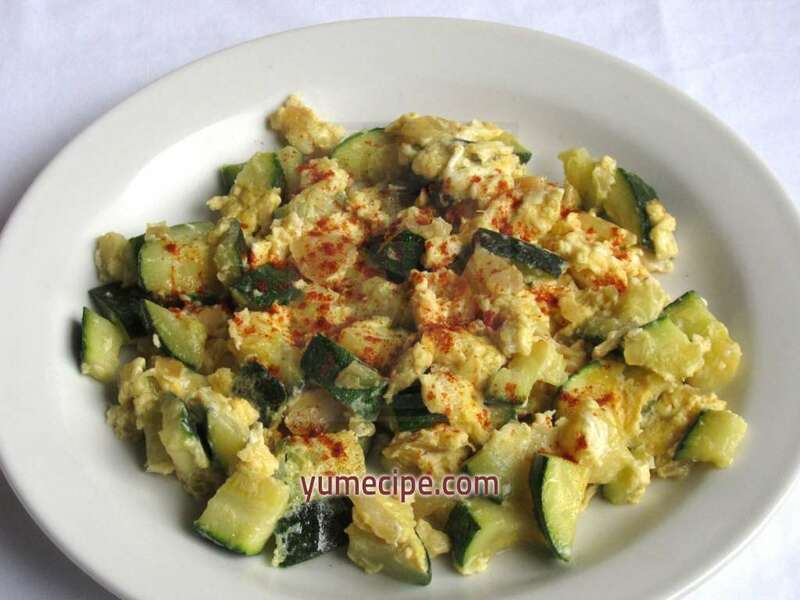 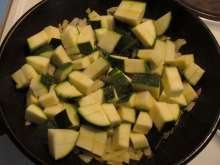 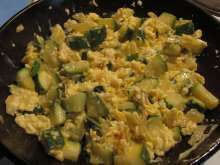 Wash zucchini, cut in into cubes, add in the onion, season with salt and cook for 10 minutes. 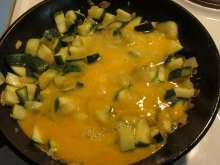 Stir until eggs become stiff. 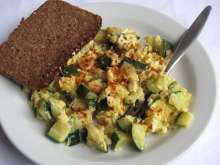 Serve dusted with ground red pepper with a slice of wholemeal bread.